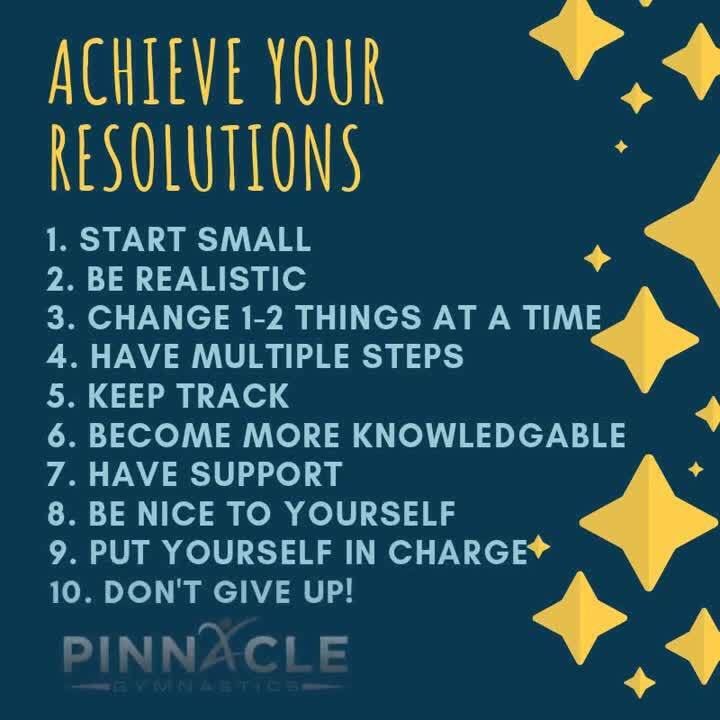 New Year’s is a time of goal setting and trying new lifestyle changes to create a healthier wellbeing varying from working out and eating healthier to creating a budget plan to save more throughout the year. Creating these new goals and changes is exciting! The first few days or weeks is a breeze because mentally you are proud for these changes. However, after the initial euphoria it becomes very difficult to continue with the changes. Life gets busy and we slip back into old habits because they are comfortable to us. When life gets tough the comfortable habits help us feel better and reduce stress. 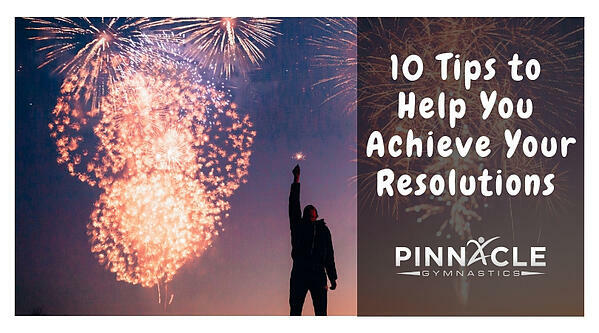 Here are some ways to help keep and achieve those New Year’s goals. Starting with small goals/changes will be more successful since they are easier to control and adapt too. As the year goes on allow for goals to progress and grow when goals are achieved. Your goals must be realistic. Creating goals that are not realistically achievable will destroy any chance of improvement and will take a huge toll on your mental state. It will harm your confidence, work ethic, and motivation when trying to achieve these types of goals. Trying to change too much at once will guarantee failure. Having too many goals or changes is a lot to keep track off throughout the busy day. Start with one or two and add more as you achieve previous goals. Tracking your daily progress with your goals keeps yourself accountable and aware of you goals all the time. Take the time out of your day to learn more about your goals. Read a book or article, listen to a podcast, or go listen to a speaker/conference. It will give you a better understanding about why you are working on these changes and may even give you some new ways to achieve them. Have others around you who are supportive of your goals and want to help push you to achieve them. Whether they are working on similar goals as you or not, a support system helps keep you on track during the rough times and motivate/praise you during the high times. There are going to be times you will have setbacks. Life is a crazy thing and sometimes it becomes a little unbearable. Minor setbacks are not going to ruin your goals. Sometime that are even necessary during moments where we feel like we are stuck in a plateau where we feel like we are no long progressing. While you may have others who help you along your way it is your body and your life. Take ownership and make yourself into the person you want to be. This creates a state of self-accountability and allows yourself to become more successful in goal-setting in the future. This is a battle of willpower over your new self and your old self. It is going to be a difficult process, but when you are successful you will create a much better lifestyle for yourself and those around you. Be confident in yourself, small slip ups will happen. Strength builds when you bounce back from these slips. Achieve your goals and grow!